Kyle Wilcox worked the 10th inning for Clinton in their Sunday afternoon loss. Geneva, IL (August 19, 2018) - A 10th inning RBI single by Yan Sanchez handed the Clinton LumberKings their third straight loss as they fell 3-2 to the Kane County Cougars on Sunday afternoon at Northwestern Medicine Field. The LumberKings (25-31, 64-62), with the loss, have now lost five series since their last series win back in July. Kane County (30-25, 65-59) led for much of Sunday's game, scoring both of their runs against LumberKings starter Tyler Jackson in the bottom of the second inning. Tra Holmes reached with one out on a throwing error by third basemen Zach Scott and was followed three pitches later by a Eudy Ramos home run to left. The 2-0 lead for the Cougars looked as though it would hold up as Franklyn Soriano did not allow a run in his six innings out for Kane County. Soriano was given a no decision for the Cougars when Clinton rallied for two runs in the top of the seventh to tie the game. Two walks and a single opened the inning for the LumberKings, loading the bases with nobody out. Connor Hoover drove home the first run of the game for Clinton with an RBI ground out to second and Onil Pena singled to right center to tie the game at two. The game remained tied through the ninth and into the 10th. In the top of the inning, Clinton had runners at first and second with nobody out but failed to score a run. Cougars reliever Rafael Pujols (1-0) struck out the next batter and induced an inning ending double play from Johnny Adams to earn his first win of the season. 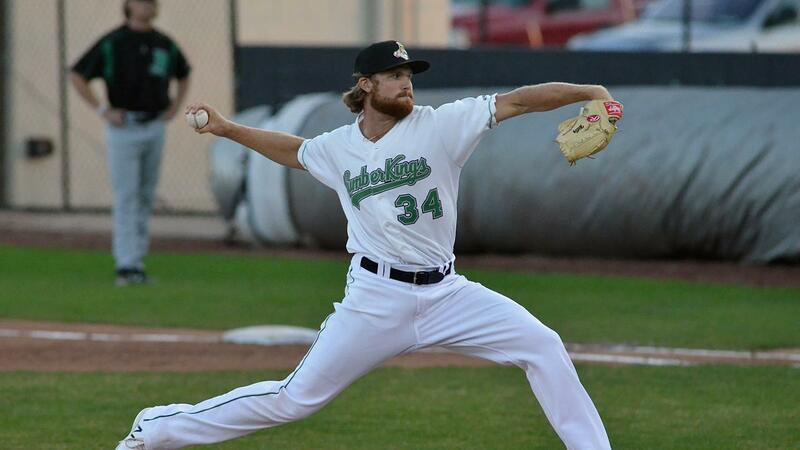 Kane County broke the tie in the bottom of the 10th against LumberKings reliever Kyle Wilcox. Jose Caballero began the inning at second, as per Minor League Baseball's extra inning rules, and moved to third when the Cougars loaded the bases on a single and intentional walk. Sanchez then bounced a 1-1 pitch from Wilcox (3-3) through the right side of the infield to score Caballero for the game winning run. The loss is just the third time this year that the LumberKings have been walked-off. The LumberKings will meet the Kane County Cougars for the finale of their three-game series on Monday night. Clinton will throw right-hander Ryne Inman (4-9, 4.72) while the Cougars will counter with righty Jayson McKinley (7-3, 3.28). Game time is slated for 6:30 PM. Fans looking to listen to the game can hear Erik Oas on the call on 100.3 FM WCCI and online at lumberkings.com via the tunein radio ap at 6:15 PM with the pregame show.